Edmund Finnis is a ‘hugely gifted composer’ (Sunday Telegraph) and his multifaceted output ranges from intimate music for soloists and duets to immersive electronic pieces, music for film, ensemble and choral music, and works for large orchestra. This album demonstrates the breadth of Finnis’ music to date with world-class ensembles and soloists including the BBC Scottish Symphony Orchestra, Britten Sinfonia, BCMG, London Contemporary Orchestra, Víkingur Ólafsson and Mark Simpson, along with conductors who have demonstrated a deep understanding of his music: Ilan Volkov, Richard Baker, Robert Ames and Andrew Gourlay. Purchase the CD here, or listen on Spotify. Britten Sinfonia’s full discography can be viewed here. 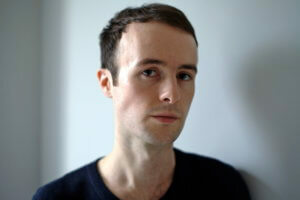 Edmund Finnis’ new piano trio, Five Trios will be premiered by Britten Sinfonia during lunchtime concerts in Cambridge (12 February), London’s Wigmore Hall (13 February) and Norwich (15 February).